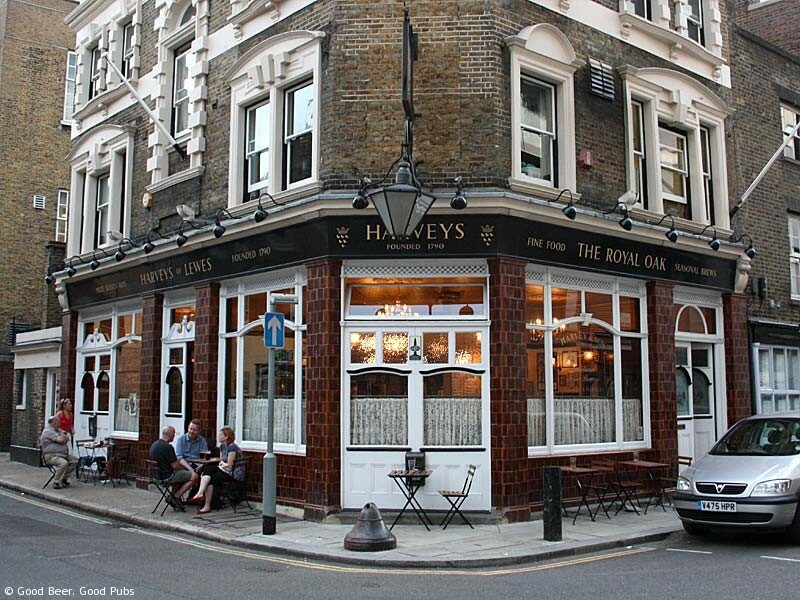 See larger photos of the Royal Oak, Borough. Hidden away near Borough tube station is this gem of a pub. The Royal Oak has a traditional feel in that there are no fruit machines and no music – so the emphasis is firmly on conversation. This obviously goes down well with the regulars and visitors alike as the pub is almost always crowded. Food is served lunchtimes and evenings during the week, and during the day at weekends. You can order from a standard bar menu or have a look at the specials board – if you’re feeling hungry try something like the lamb shank if it’s available. The food is reasonably priced, the portions are generally generous and the quality is excellent. All pubs should be like this.